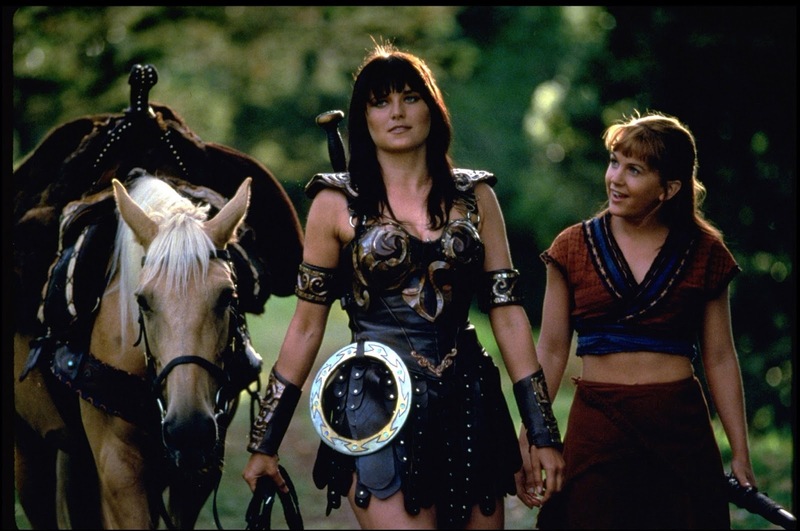 Thoughts from a TV Geek: New Xena show may happen - Lucy Lawless spoke too soon. New Xena show may happen - Lucy Lawless spoke too soon. After Lucy Lawless (Xena) stated that there was no reboot of her show Xena: Warrior Princess in the works, an executive from NBC says they actually would love to remake it and are looking for a writer. NBC Entertainment chairman Bob Greenblatt confirmed to The Hollywood Reporter that the network is looking for a way to reboot the beloved series in which she starred as the warrior princess. My first thoughts were good news, bad news. Good news: Xena! Yay! And they would love for Lawless to be involved. "Yes, we're in the early stages of developing a new take on Xena and we're looking for a writer. We want to do it," Greenblatt told THR on Wednesday night at NBCUniversal's Television Critics Association summer press tour party at Spago. We live in the day and age of remakes and reboots. For all us old timers we simply have to live with that fact. However, when is it going to far? I'll admit there have been a couple of reboots I liked. For example, The Amazing Spider-man was a good movie, my only complaint was that, for me it was too soon after the 2002 Spider-man to consider a remake. Xena ended in 2001 so it might not be too soon, but to completely change the original concept of the show (based on my speculation from what's been stated) negates the fact that it's Xena. You might as well call it Julie. "I don't think it's just a continuation, but we haven't gotten that far. I think it's a great character and we should try to figure out how to revive it somehow," Greenblatt said, confirming that "there is a deal with Sam and Rob Tapert to produce and it's with NBC International." It should also be mentioned that in all these talks of a reboot, no where is Gabrielle ever mentioned. The show was more than just about a woman seeking redemption for past mis-deeds. It was how two women helped each other find their path. One more thing, if they change Gabrielle to Gabriel I will have to hurt someone. Just sayin'.